This course was created by Rebecca Epperly Wire. You can contact her through the Facebook community group with questions. You can also say thanks to her with a gift. Course Description: Advanced Literature and Composition will be a guide for you rather than a daily outlined course. This course is for students interested in writing for publication. For this course, you will choose a writing category or genre you would like to pursue. For the first half of the course, you will read examples from your genre (“the best of. . .”) and the latter half of the course will be an extensive writing workshop for that genre. If you are not already using an ad blocker, I’d recommend installing one to prevent distractions and any mistaken clicks on ads appearing on sites we will be using. Pick an area of writing that you are most interested in pursuing. Begin to compile your reading list from the provided links. Try to choose from a variety of authors and styles. You should be sure to include some from the last twenty years even though many will not be available for free online. You will be spending the first half of this school year reading as many examples of what is considered the best in your area. Why? Because to be a great writer you have to read great writing. The second half of the year you will be writing with the intent to publish. You should read 40-60 minutes a day. 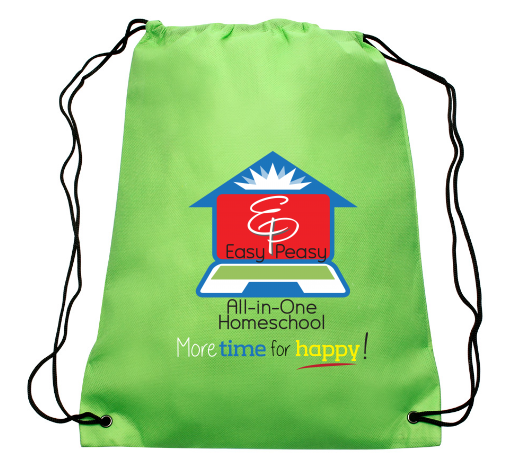 Look over Reading Lists from elementary and middle grades within Easy Peasy All-in-One Homeschool. Note: There are many sub-genres and stories will overlap across genres sometimes. These lists are just to give you an idea of possibilities. The Pulitzer Prize for Feature Writing (scroll down to find articles written by past winners). The Pulitzer Prize for Investigative Reporting (scroll down to find articles written by past winners). The Pulitzer Prize for International Reporting (scroll down to find articles written by past winners). The Pulitzer Prize for Breaking News Reporting (scroll down to find articles written by past winners). For the remainder of this course you will be working toward writing and publishing in your chosen area. Use the provided links and resources as a “how to” guide for your work. Your goal now is to write forty minutes to an hour a day. Just write and write and don’t give up. You can edit after you have the words down, but you have to get them down first. You can use the links below to get basic outline ideas of how to get started in most of the areas. Don’t spend more than a few days to a week looking through the links below before you get started writing. Remember what you have been reading. Hopefully you’ve formed some ideas of what you want to pursue. Don’t write for the contests below. Write your best and what you’re most interested in. Once you’ve written something worth reading, then you can start looking at places to submit it. You can even publish your work yourself and see it in print. But you have to write something first! Be careful of gimmicks and unrealistic promises when you are considering submitting your work. Entry fees for publishing award competitions are reasonable, but complete your own research into organizations before you take action. You should look through some of the award programs listed below and see where you may be eligible to submit your own work to these competitions. If you win a contest or get something published, please let us know. Now write! Easy Peasy has lessons on writing a book starting at Day 142 and Day 152. Create Space – This is completely free self publishing. See your book in print!